Separator image Posted in My kniting & crochet and tagged with lace scarf, YOP. Very pretty. I love lacy things. Ah a new skill – well done. It looks lovely, you should publish it. 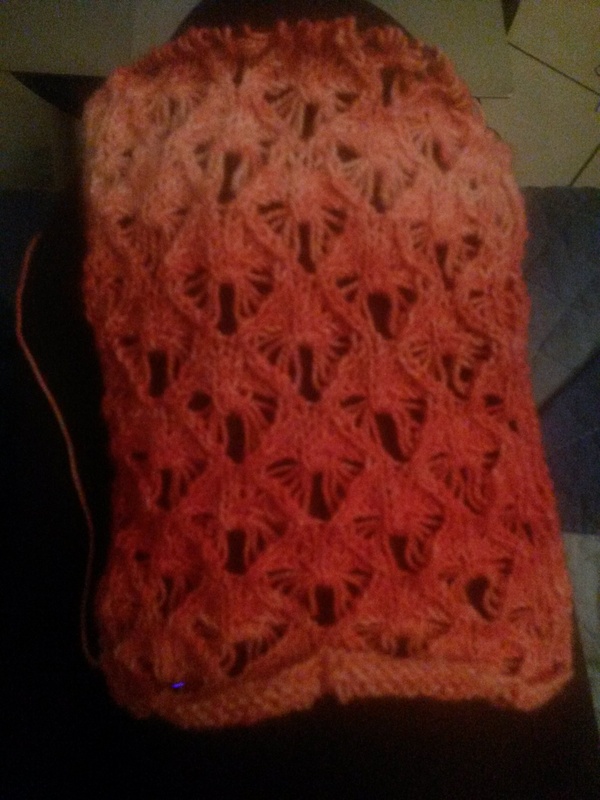 Pretty lace pattern! I’d say publish too! Thank you! I’m working on it… Too little time, too sleepy in the evenings.